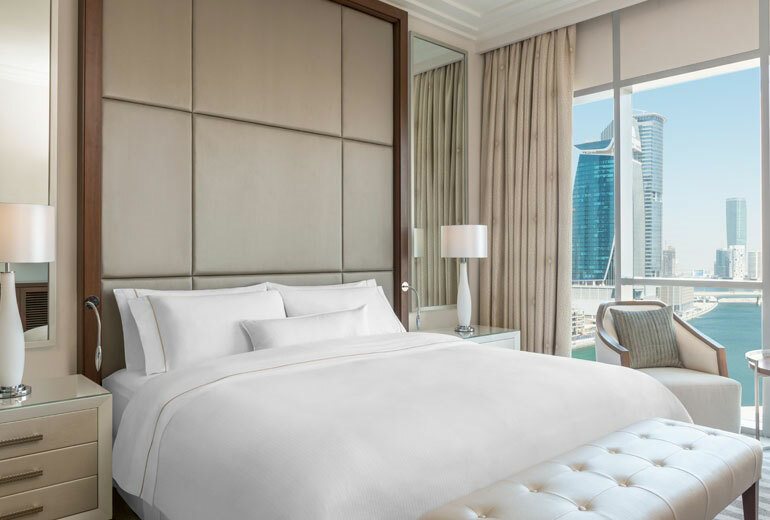 Starwood Hotels and Resorts has opened the second of its hotels within the Al Habtoor City complex this week: W Al Habtoor City. Its opening follows the arrival of The St Regis Dubai last November. Together with The Westin Dubai Al Habtoor City (due later this summer), they form the hotel portion of the ‘sprawling urban resort’ along Sheikh Zayed Road. It will also contain three residential towers and a range of restaurants, retail outlets, and a 1,400-seat theatre that will have five shows a week of La Perle by Franco Dragone (a video of the project is here). Set on the banks of the Dubai Water Canal, Al Habtoor City is close to the twin-tower, 76-story ‘world’s tallest hotel’ JW Marriott Marquis. W Al Habtoor City, a ‘cosmopolitan intersection of art, design, fashion, music and cuisine’, has its lobby on the 30th floor, with a total of 356 rooms and suites. They have the signature W bed and W pillow menu, while facilities include a WET pool deck with FIT gym. Restaurant Namu serves Japanese and Korean cuisine, while Level Seven focuses on Mediterranean food. The Westin Dubai Al Habtoor City has 1,004 rooms and suites over 41 floors, with an Executive Club on level 39. All rooms feature Westin’s Heavenly Bed and Bath, there is a Heavenly Spa and a Kids Club, as well as eight restaurants and extensive conference facilities. 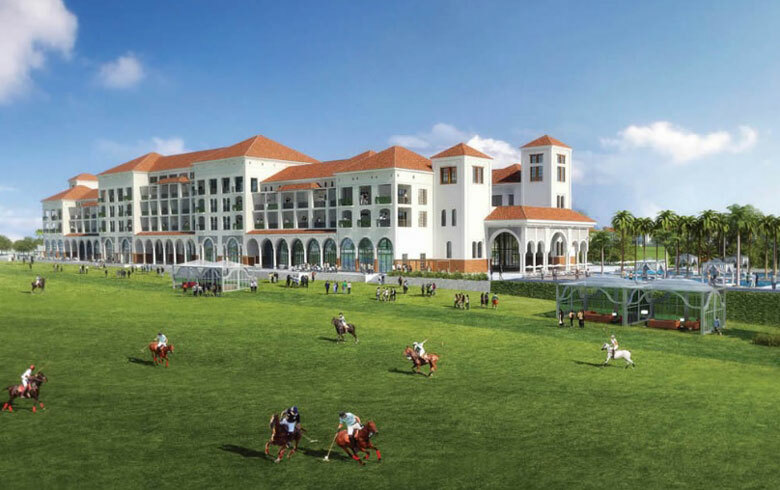 While The St Regis Dubai is part of Al Habtoor City, future sibling The St Regis Al Habtoor Polo Resort & Club, will actually be situated in Dubailand, a vast, multi-billion-dollar entertainment complex further inland. Built in Andalusian style, it will be the first St. Regis polo resort with 136 rooms, 24 bungalows and ‘various culinary venues’. There will be a polo club, an academy with four fields, show jumping and dressage arenas, and a riding school with 500 stables. In 2017, W Dubai – The Palm should open on the western crescent of Palm Jumeirah, over a decade since the project was first announced in 2006. The hotel will have 181 rooms and 102 suites in an ultra-contemporary building with eight restaurants and bars, a W lounge, WET pool and AWAY spa. In addition to the hotel, there will be a residential component. If that isn’t enough, Starwood will also add The St Regis Dubai, The Palm in July 2018. 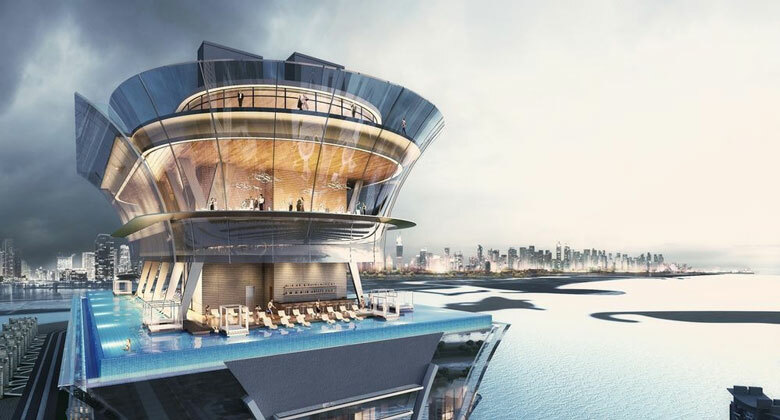 At the base of Palm Jumeirah, the hotel will be part of The Palm Tower, a 52-story mixed-use development. Its 289 rooms and suites will cover the first 18 floors, with 504 luxury apartments above. One of its two swimming pools will be on the 50th floor, following the perimeter of the building on all four sides, with a signature restaurant one floor further up. 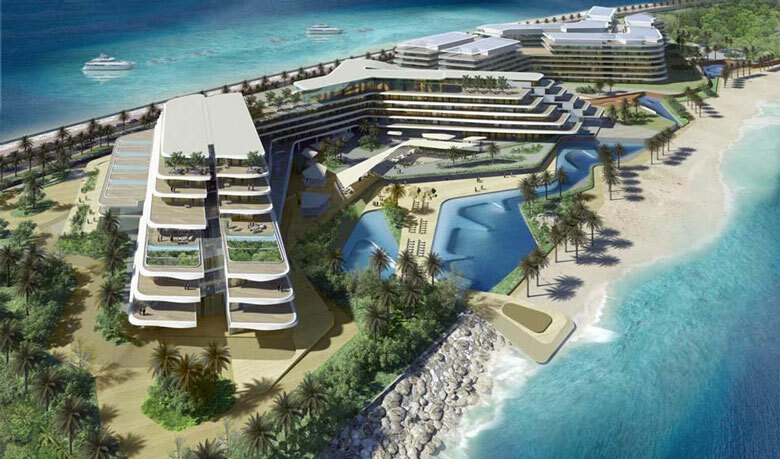 Plans for Aloft Dubai, The Palm – the brand’s first resort in the Middle East – were confirmed in March.